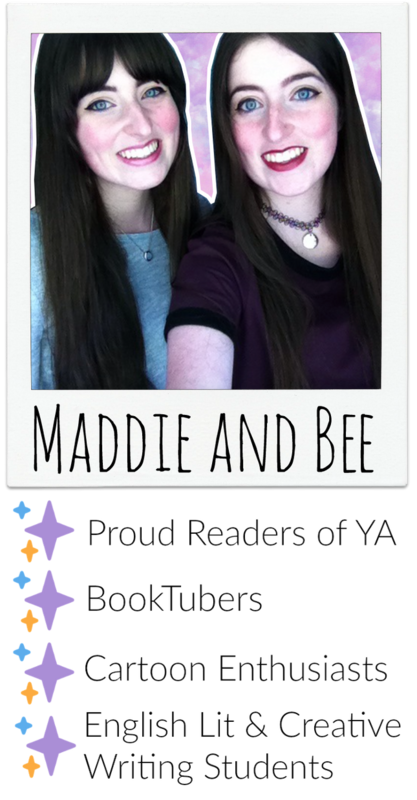 I read this book as part of the #readukya Read-a-thon that was hosted by @LucyTheReader. I was totally in the mood for a cute contemporary, and ‘Jessie Hearts NYC’ definitely delivered (plus it’s super short so could be read in one sitting!) I was a little bit surprised by ‘Jessie’ and how the plot wad advertised as a romance, but almost completely lacking in romance for the two main characters! 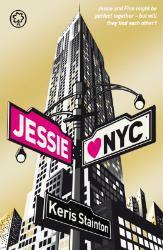 ‘Jessie Hearts NYC’ was about Jessie and her best friend Emma going to New York City to stay with Jessie’s mother. They explored the city whilst Jessie dealt with her distant relationship with her mother. Finn, the love interest, spent most of the book trying to get with his best friend’s girlfriend, Sam, to no avail. The plots for both characters were cliched and generic, with guessable outcomes. It was interesting to see so many different types of love portrayed, though: unrequited, age-gap, homosexual…it was all there. But I was expecting something a little more ‘Anna and the French Kiss’, because when a contemporary is set in a foreign country, you just expect an epic romance that transgresses the time the couple has together. For a book that was only 250 pages long, Jessie and Finn were well developed characters. They had dynamic family settings, they had school problems and love problems and general problems that make a YA book relatable. The blurb makes it sound like they each only have one agenda throughout the story, but I’d say they manage to accomplish a lot in a short space of time. I don’t think I preferred either character, which is a good thing! I did like how they kept seeing each other, but none of their meetings were enough to spark the epic romance feelings I was expecting. So, Finn and Jessie only officially meet within the last 80 pages. What?! I had to read 170 pages of non-romance in a romance novel? It was a little insane. But what’s even worse it that they only properly get together in the last 30 pages. The whole book felt like a very big build-up to something that wasn’t that noteworthy. It was no ‘Point Zero’, so, I have to say I was disappointed. Overall, I’d give ‘Jessie Hearts NYC’ 2.5 stars. I almost didn’t want to give it a rating, because if I gave it two stars, that makes it seem like the book was bad, which it wasn’t and if I gave it 4 stars, it would be on par with Delirium and Throne of Glass, which doesn’t do those books justice. So, I went with 2.5 because ‘Jessie’ was good, but not what I was expecting. Still worth a read, as a good uncomplicated story, but just with little emphasis on the love story.